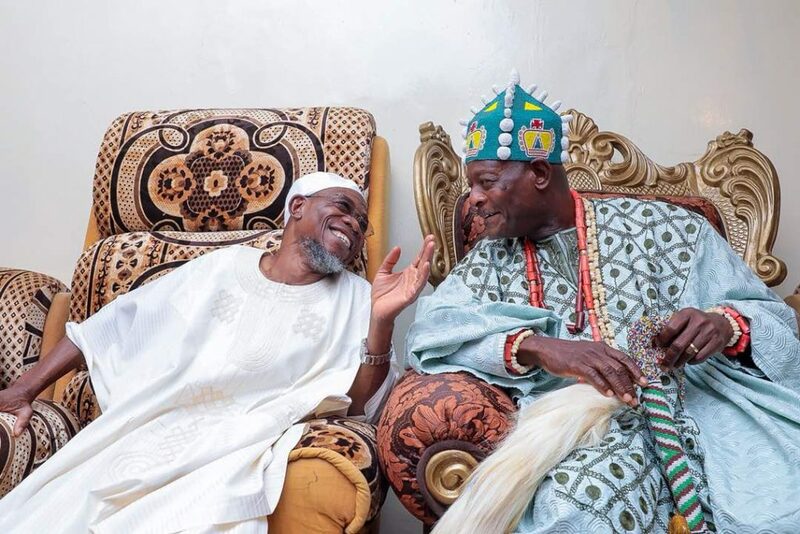 The Elegboro of Ijebu-Ijesa land, Oba Moses Olufemi Agunsoye, has lauded Governor Rauf Aregbesola, for his various developmental programmes which have transformed the State of Osun into a globally recognized one. The Monarch said this while playing host to the Governor on his visit to the Ijesa North Federal Constituency. 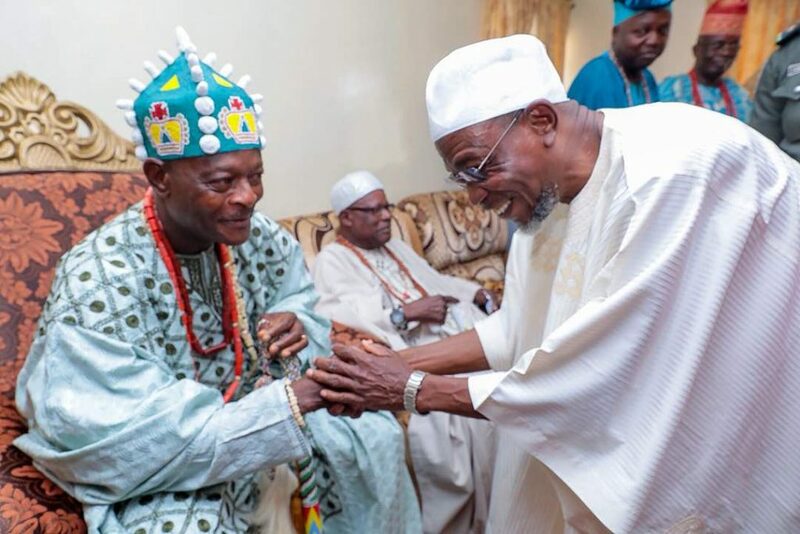 Oba Agunsoye commended Aregbesola’s commitment to making the State a better place to be, adding that the Governor’s achievements are exceptional and unprecedented. He however urged the party leaders to pick the right candidate as the Governor’s successor to ensure the party’s victory at the fast approaching election. According to him, “When there is continuity, there is improvement and progress, there is total rapid development in Lagos State today because of its party’s continuity. 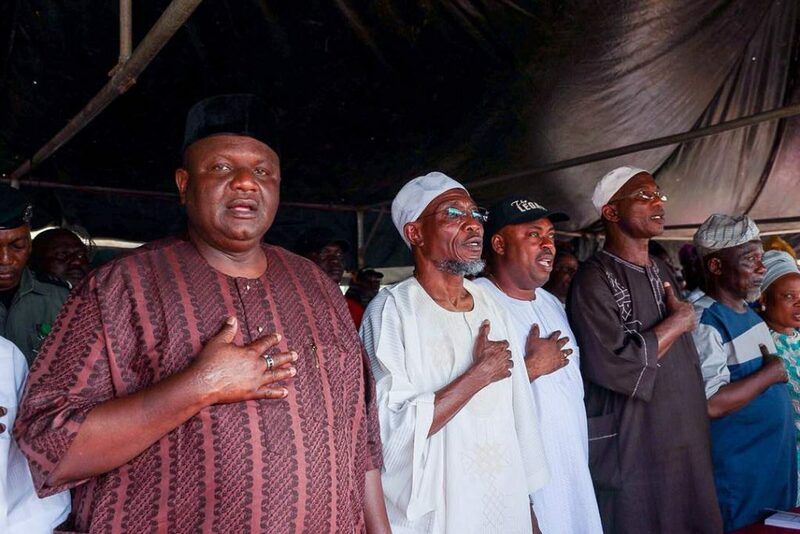 The deaf can hear and the blind can see Aregbesola’s infrastructural development programmes. “Do we talk about the latest modern schools, the physical infrastructures? I think State of Osun started the O’Meal programme and it being copied all over the country now. The State also introduced calisthenics sport among others. In his speech, Governor Aregbesola also appreciated the Monarch and the entire constituency for their continued support for the party. 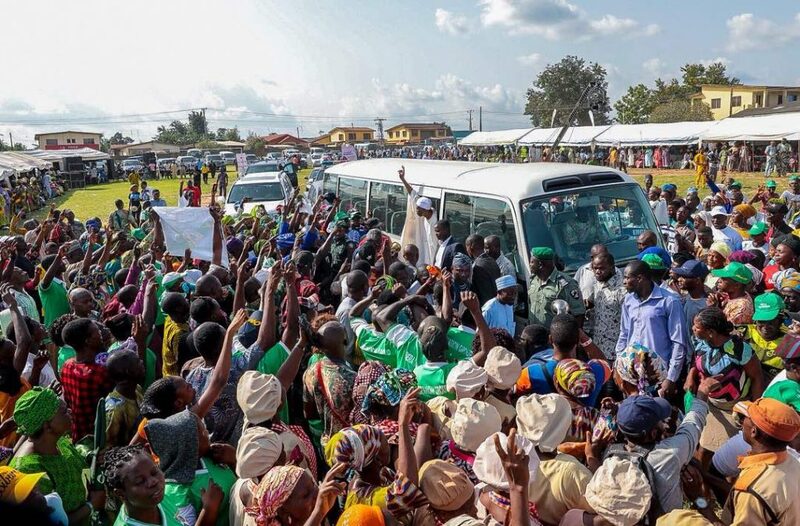 He noted that the purpose of the visit to the Federal constituency was urge party members to start working to ensure the party’s victory at the polls. 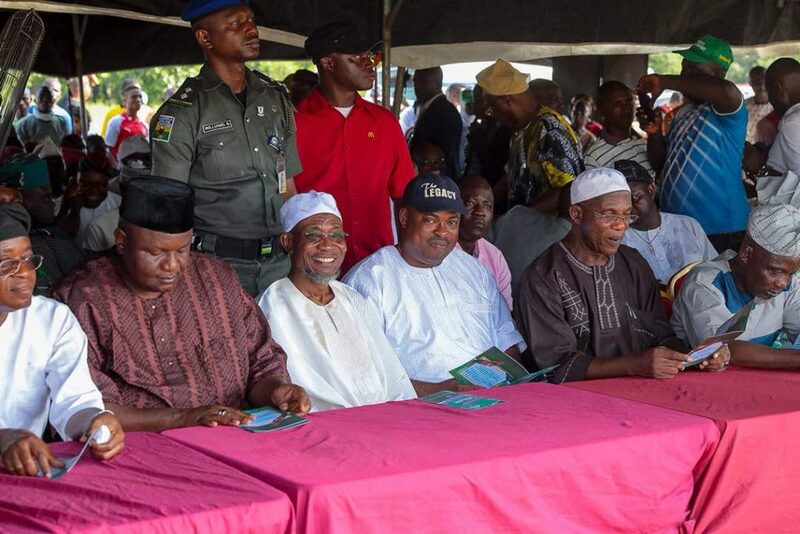 Aregbesola, who listed the achievements of his administration, added that no administration before his had achieved half of what his government has achieved. “The purpose of the visit is to sensitize party members towards working to keep the party in power. We appreciate the constituency for its continued support for the party and we seek the Monarchs prayer for victory at the polls. “If APC remains in power for just eight more years, Osun will be better for it. Within the last seven and half years, our government has spent nothing less than 30 billion in direct investment programmes, talk of O’YES, O’MEAL, support for farmers, giving to the elders, drugs in the hospitals, O’Ambulance, no government has spent half of this in Osun before. “We have also not spent less than 30 billion on physical investment, this is all because our party wants the best for the people, the other parties are only after their selfish interests.”he added.